You may or may not have seen that Congressman Mike Pence announced he’ll make his decision on his future this week. The Pence for Governor Twitter page (which they tell us is NOT officially affiliated with the Congressman…why would we think that?!) linked to a National Journal article where they go into detail assessing the options for the Congressman. We still think he is going to go for Governor. It is a much safer option and will set him up for a future run at President. We agree with the article that it is extremely hard for a House member to raise the dollars needed. We also think there is an argument to be made that the Congressman is lacking executive experience. A great solution to that problem is being Governor first. 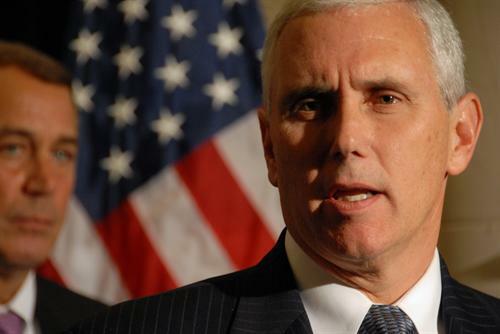 The other problem for Pence in a presidential scenario is Governor Mitch Daniels. The Governor hasn’t made a decision and his timeline is a bit further down the road as he tries to get through the legislative session without making any announcements. It seems to us that the Indiana donor base is going to be VERY slow to get into the Presidential race until the Governor makes a decision. This makes fundraising even more difficult for Pence since his base will be sitting on the sidelines. We want to know what you think. Check out the poll to the right. What do you think Pence will do and what do you think he should do? Vote now!